Volunteers are what make Hatzalah so valuable. Having more trained responders spread throughout the community means that trained medical help can get where it needs to be even faster. Join us and see for yourself what a difference every Hatzalah member makes. Will I need to provide my own car? Everything is in the application. At this time Hatzalah training has been completed. Will there be any other training? Will I have to work on Shabbos or Yom Tov? How many hours am I committing to? There are no set hours. Being a Hatzalah member is a commitment to help save lives. However, in the application you will indicate when and where you are available and we will keep in mind the hours that you are more readily available. Being a Hatzalah volunteer involves significant training costs to the organization and we are asking the volunteer for $500 to help defray the cost of training and equipment (which are both significantly more expensive). If this is a problem, contact us and we’ll see what we can do. Please fill out the Hatzalah Responder application below. We will contact you as soon as we are done reviewing your application. Thank you. Please list three personal or professional references (excluding relatives) that have known you for at least one year. By checking the box below and filling out the date you are certifying that all information provided on this application for membership to Hatzalah of Southfield /Oak Park is factual. I understand that as part of the screening process, the Membership Committee will make inquires regarding my driving record as well as seek references from individuals who are acquaintances of mine, including but not limited to those provided in this application. Furthermore, I understand and hereby authorize Hatzalah of Southfield/Oak Park through its designated agents, directors and officers to investigate any of the facts set forth in this application and conduct a criminal records background check.  I understand that it is the policy of the Membership Committee of Hatzalah of Southfield/Oak Park not to comment on any reasons leading to a decision of acceptance or denial of any membership application, to any individual, including the applicant, under any circumstances whatsoever.